“Computer” app is a file manager or file explorer, made for feel similar to computer from windows 7 and my computer from windows xp. The best thing of app is, it divide your app date in particular categories like music, photo, video, download, document and local disk storage, apps, so you can easily open and access your all data on one screen. 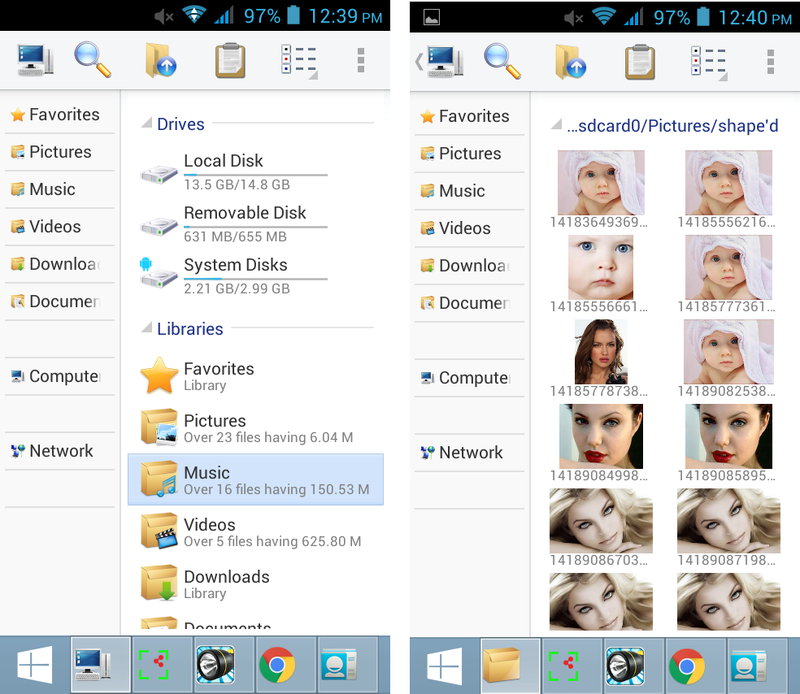 It has all file option which works similar with open with option from windows. Computer app is free and available in google play store. It supports tab, so you can open multiple folders at the same time. It is also a task manager allowing switching to other programme you have opened. Zip archive extraction is included as well. Image Viewer png, jpg, gif, bmp. Media Player mkv, wmv, mp4, avi and more.